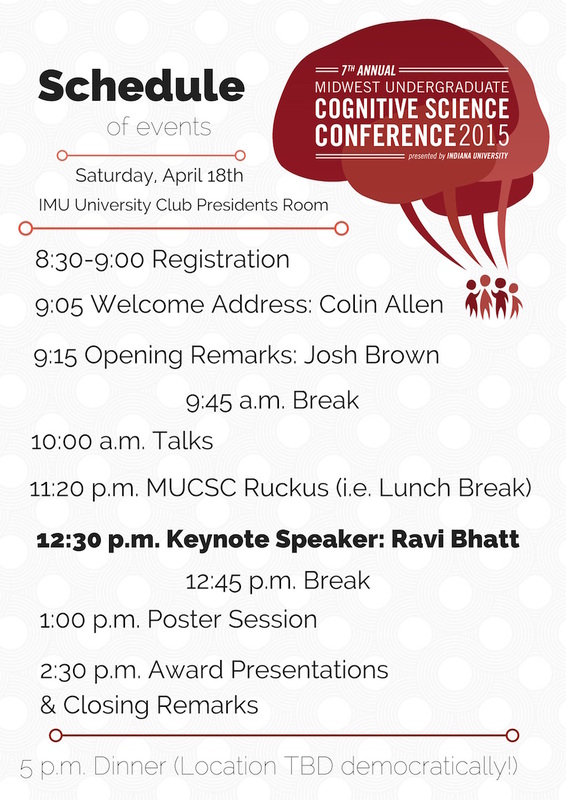 We are enthusiastic to be celebrating the 11th annual MUCSC conference this spring, on April 20th. 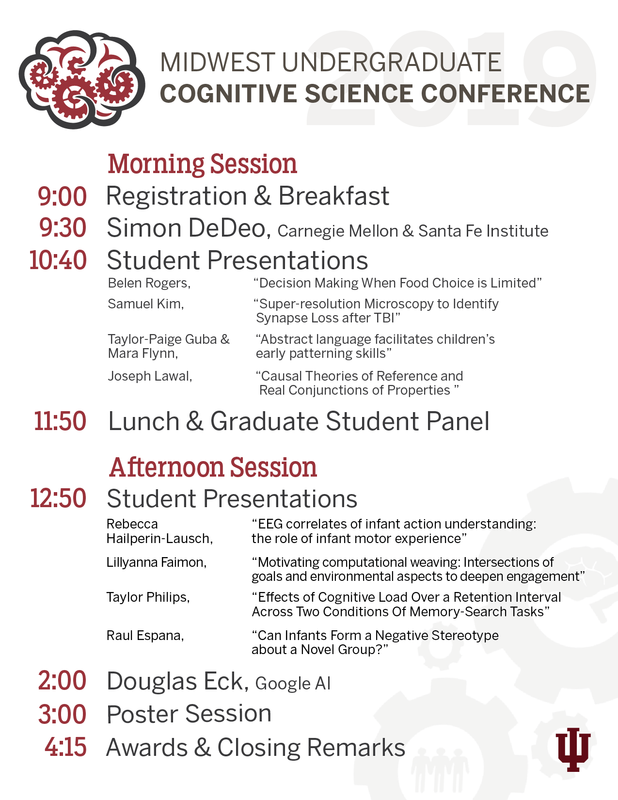 MUCSC is a one-day research conference for undergraduates doing work related to cognitive science. 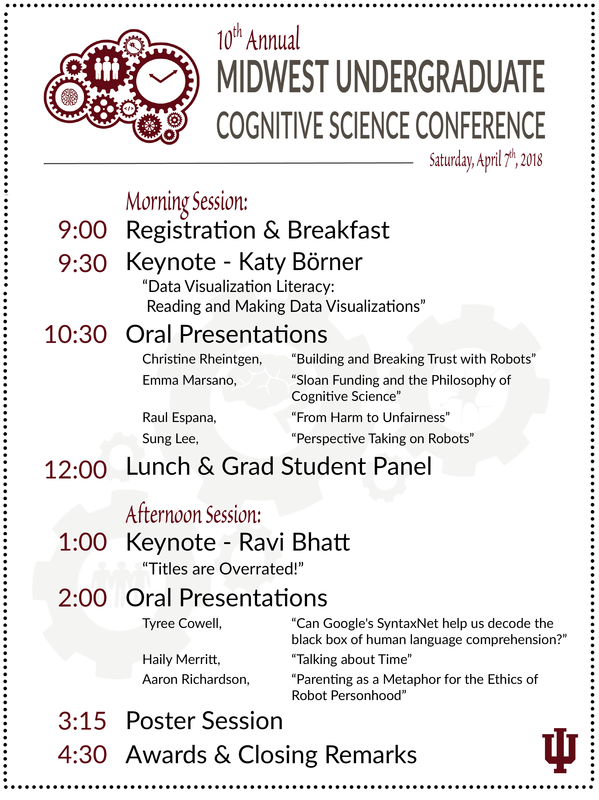 We welcome students from all majors whose work relates to cognition, philosophy of mind, psychology, linguistics, artificial intelligence, or cognitive neuroscience. Our conference is free and open to the public. This year, MUCSC will take place in Luddy Hall, located on 700 N Woodlawn Avenue, 47408 - Bloomington, IN. Our conference is free and open to the public, but we ask that all attendees register so that we may provide enough food and seating. Please use the form below to register. 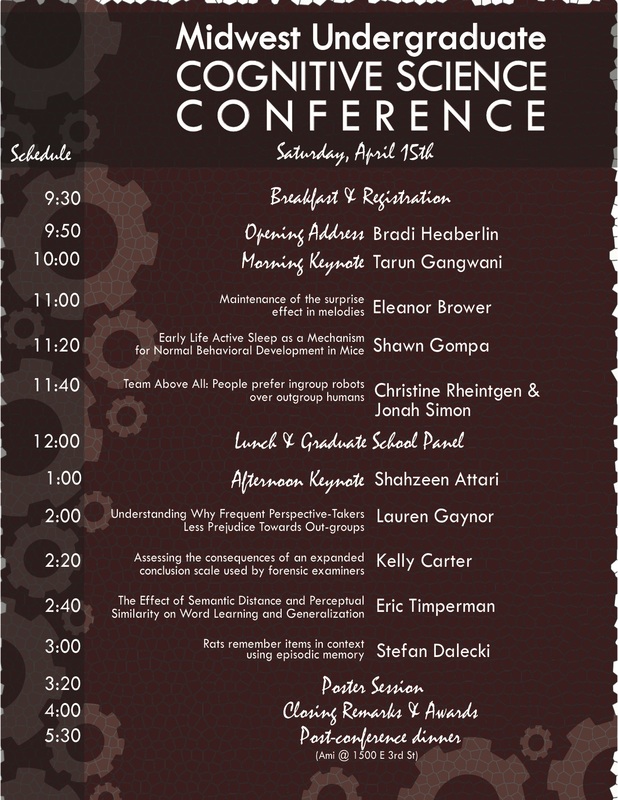 Presenters do not need to register for the conference separately. The deadline for abstract submissions has ended but we are still looking for poster presentations. Please limit abstracts to no more than 300 words and use the form below to submit them. This year we are delighted to welcome Simon DeDeo and Doug Eck as our keynote speakers in addition to our undergraduate presenters. 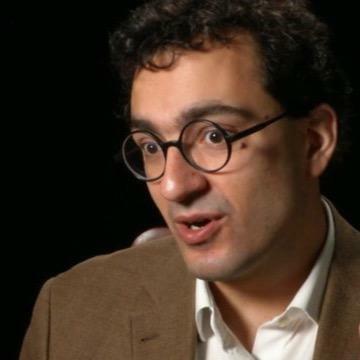 Simon DeDeo is a professor at Carnegie Mellon University’s Department of Social and Decision Science, and external faculty at the Santa Fe Institute. He leads the Laboratory for Social Minds, which studies the cognitive origins of human culture from the Axial Age to the 21st Century. Doug Eck is a research scientist at Google working on Magenta, a project exploring the role of machine learning in the process of creating art and music. His research involves creating smart tools to help artists with their processes and designing machine learning algorithms to generate media.